ReachNow can’t be described as a car-sharing service anymore. The BMW-owned division is now a ride-hailing service too, putting it in direct competition with Uber and Lyft. At least in Seattle. ReachNow launched Tuesday a new app that combines car sharing and ride hailing using a single shared fleet of cars. The service is live in Seattle as of Tuesday. And there are plans to expand into other U.S. cities. 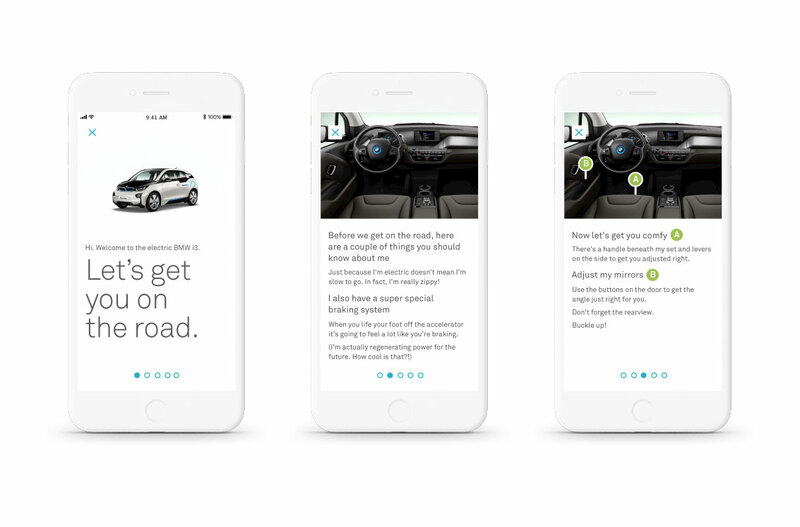 The app aims to be a one-stop shop for users looking for the best way to get from Point A to Point B — and each choice providing a consistent BMW brand experience. ReachNow’s car-sharing fleet is a mix of BMW i3 electric cars, BMW 3 Series, BMW X1 SAV, MINI Clubman, MINI 2-door hardtop and MINI 4-door hardtop models. The app offers users the option to rent one of its vehicles by the minute or for multiple days. For instance, a customer could grab a BMW i3 and use it to drive to work, then use the same app to get a ride from that after-work happy-hour spot. It’s even possible the same vehicle will be used, ReachNow’s Chief Customer Officer Dr. Simon Broesamle told TechCrunch. The ride-hailing service doesn’t operate quite the same as Uber or Lyft. ReachNow has a contract with a third party, which supplies the drivers. The company, which tested ride hailing in Seattle last year, is using data to determine the right mix of vehicles dedicated to car sharing and ride hailing throughout the day. So, the number of vehicles available for car sharing might shift to the ride-hailing network on a Saturday night, a time when more users might not want to drive. ReachNow is waiving the sign-up fee for new members who want to try the ride-hailing service. Ride pricing has a $3.24 minimum. Rides are $2.40 per mile plus $0.40 a minute. The service doesn’t have surge pricing. For now, the service is only available in Seattle. The new app has a few other ride-hailing features to give a more personal experience. Members can select an immediate pickup or schedule a ride up to seven days in advance. Ride-hailing customers can also select the temperature and music preferences, as well as hit a “quiet time” option, which tells the driver that the rider doesn’t want to talk. The ReachNow app also has a new destination bar that lets users choose their mode of transportation based on estimated time of arrival and price. If a customer picks car sharing, the destination is automatically sent to the in-car navigation. Other changes include an option to park and keep the vehicle or to end reservations from the app. The company says it plans to roll out a pin feature to let customers start their car-sharing trip from their phone. Members can rent a ReachNow vehicle for up to five days. The company says it plans to introduce new features that will allow customers to schedule directly from the app a car up to 30 days in advance and have the car delivered to a location of their choice. The new car-sharing and ride-hailing app is a milestone for ReachNow, which first began talking publicly about its multi-modal strategy in November 2016. ReachNow is a reboot of BMW’s car-sharing service called DriveNow, a joint venture between the German automaker and rental car company Sixt SE that launched in Berlin back in 2011. DriveNow has had success in Europe. But its foray into the U.S. market in 2012 didn’t go so well. The company initially launched its free-floating car-sharing service in San Francisco. But free-floating, a term that means vehicles can be picked up and left anywhere within a designated operating area, didn’t work so well with San Francisco’s parking and car-sharing regulations. The service shut down in 2015. In 2016, it came back with a new name, software platform from RideCell and city. 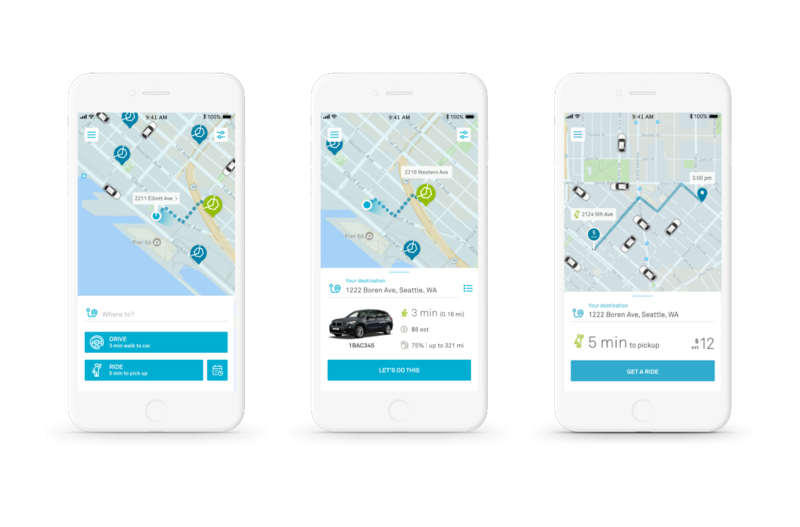 This time, ReachNow launched its free-floating car-sharing service in Seattle. The company expanded to Portland and New York later that year. ReachNow has nearly 100,000 members in Seattle, Portland and New York, with a combined fleet of more than 1,000 BMW, BMW i and MINI vehicles. The company has partnered with residential buildings in New York to offer on-demand access to dedicated ReachNow vehicles that are only accessible to residents in the building.